We’ve all been there: the classic group photo, with twelve friends side by side doing their best to look as happy as humanly possible. The first shot is easy — but wait, the guy next to you has their own camera, so it’s time for another one. And then another. Soon muscle fatigue kicks in, and those happy smiles fade into grimaces as everyone wonders why isn’t an easier way to share their photos. Cue Clixtr, a new location-based photo sharing platform that’s launching today at TechCrunch50. The app is available on the App Store now, and you can download it now for $2.99 here. Clixtr’s service is primarily designed for concerts, weddings, and other major events where lots of people are taking lots of photos, with no good way to aggregate them all together. The service revolves around an iPhone application that uses the smartphone’s integrated camera, data connection, and GPS to faciliate quick photo uploads to a shared album. 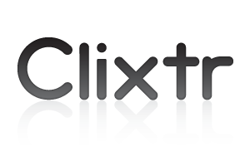 Using it is simple: take a photo, and upload it to Clixtr. If the app detects that you’re near where a lot of other people are uploading media, it will group them into an album. You can browse these albums directly from the iPhone app in a stream view. You can also use an ‘explore’ function, which uses the phone’s GPS to locate any events that are going on at any nearby events. To create an event, you simply enter a descriptive name, and then invite friends who are nearby to view and participate in the album. Of course, photo sharing sites have been around for ages. But few of them are really based around location — instead, you usually have to create an album and manually invite each of your friends. If you don’t have someone’s contact information they’re out of luck, and the whole process can be time consuming and tedious. MS: I think that was awesome. I’m curious how you can do mapping to events. Do you have to be invited. A: When you launch the application, we show events that are nearby. Events are server side and sent back donw. RS: My phone doesn’t let you do anything while it uploads the photo. But it’s a nice install. Don’t have to do signup. A: Costs less than a cup of coffee at 2.99. Possibly location based advertising. RH: I think doing local photo could be good. I would up incentive for participation. One thing that could be distinctive for when Facebook app starts doing their own. If all my friends are already on graph A (Facebook), that’s hard. You’ll need to up level of incentive to participate. DC: I would look at what Foursquare is doing, with the game element. People want to be mayor of a certain place.